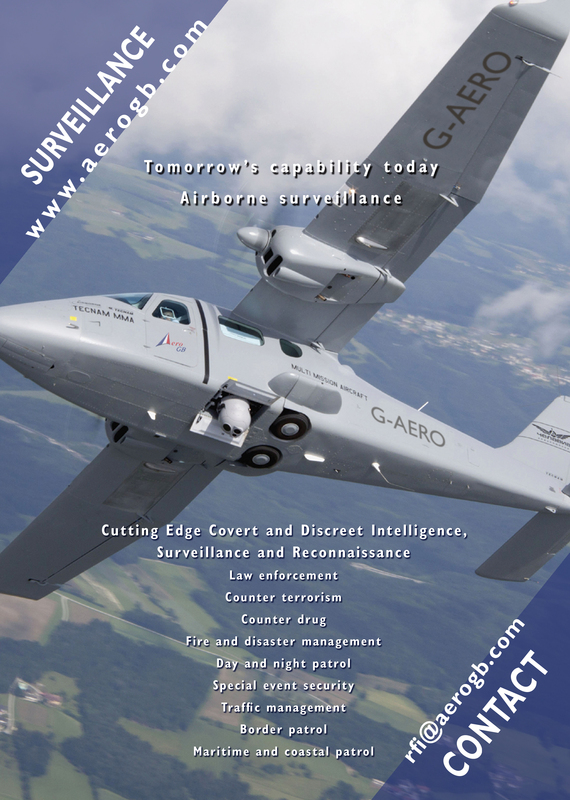 AeroGB uses the latest technology in sensors and secure communications to deliver specialised covert, discreet and overt surveillance. Through the careful selection of surveillance sensors and communication technology we can provide the ultimate surveillance performance. We then match this technology to the best aircraft to provide a versatile and economic platform for surveillance missions. Through the use of state-of-the-art electrical optical and thermal infra-red imagery a complete picture is captured and then communicated to our client. Whether satellite communications or direct line-of-sight microwave communications the surveillance data gathered will be channelled in real-time to our client. AeroGB has different solutions available depending on financial and mission requirements. Speak to our skilled and experienced Intelligence, Surveillance and Reconnaissance (ISR) team.